Please support our 4th annual Ergathon Fundraiser ! in order to raise funds for our fantastic club. such as shells, oars, ergs, cox boxes, etc. 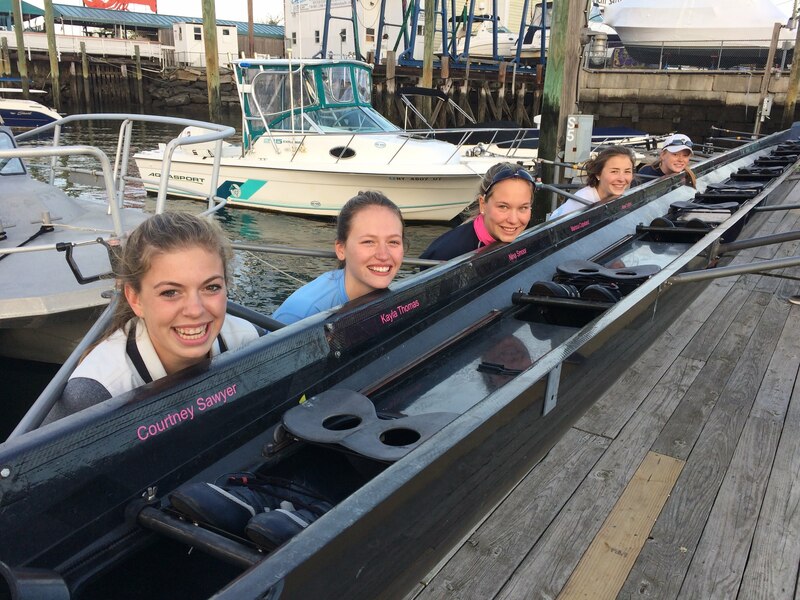 Each athlete who raises $1,000 or more will have their name placed prominently in our newest boat. or sponsoring one of our athletes directly. As a fully registered 501 (c)(3) non profit, your donation is 100% tax deductible. Please click here to support us today! Some very generous supporters have asked about specific needs / donation opportunities. Listed below is a wish list that you might consider specifically targeting. Please email us for more details, including paying over time. Coaching launch for Abi !